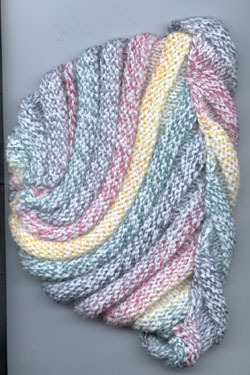 Encore Colorspun is a wonderful go-to yarn for just about any project that calls for a worsted weight yarn. Easy care and available in a wide array of colors. Need inspiration? Click here for a FREE pattern for this Spiral Rainbow Hat.